Update: 2014/02/04 – Added a video, below the fold, showing a portion of Ercana, a part of Uru Live, that was moved to Cry Engine 3. This is no where near a finished product. It was just a quick move to extract it from Plasma to Blender to 3DS and finally to Cry3. It is a very rough video, but it shows the possibilities. By now you know I am a Myst-Uru fan and somewhat active in that community. I have Myst-Uru sites included in my Feedly reader and Facebook follows. This popped up in a Cyan Worlds post on Facebook: Unreal Riven. 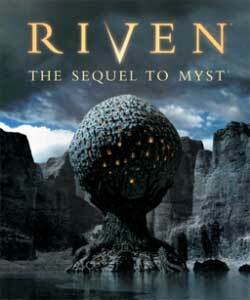 It is an article about the development of a new rendition of Riven, one of the series of games that makes up the Myst games. Posted in Myst-Uru, Riven Myst Uru. 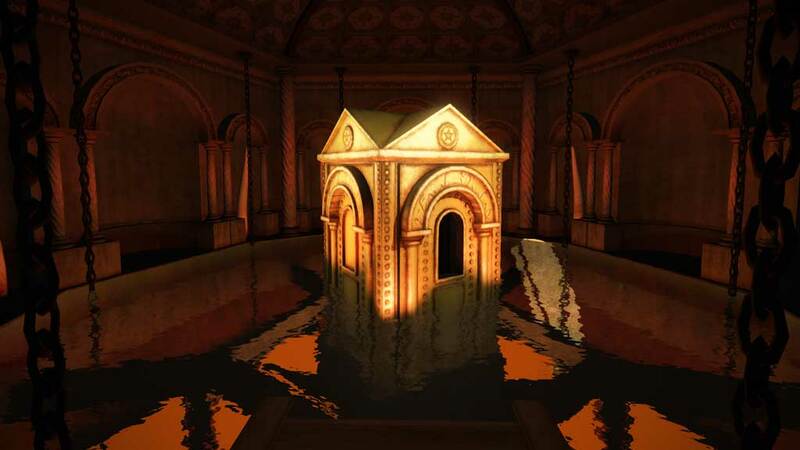 Cyan Worlds, the creators of the Myst games, announced that they are porting Riven to the iPad. The blog Touch Arcade picked up on an interview with Rand Miller, Cyan’s CEO, over at Modojo and wrote: ‘Riven: The Sequel To Myst’ for iPad Is Still Coming. You may know that Riven for the iPhone was released in December 2010 (US$4.95). We may see iRiven (for the iPad) this month. Fans of Cyan Worlds will be happy to hear Rand say the realMyst iStore sales have passed breakeven. Meaning they are making a little money on top of paying the realMyst development costs. iRiven is in progress. Rand says they recompressed the images to improve quality, improved animations, movies, and sound. The user interface has been touched up for the iPad. Now iRiven will run on all models of the iPad and even the iPad mini. This is just an interesting bit of trivia for my Myst friends. The trivia is the headline and is repeated in the last line of this post. The rest in between is making it make sense for Myst-Uru fans. Many in the Myst-Uru fan realm are not 3D modelers and they are not part of the SL community. So, many of what those of us in Second Life consider basic information needs to be explained. To set the stage, Myst fans need to know what’s up in English not SL jargon. Second Life (SL), is a virtual world in which about 660 Uru fans have joined the in-world group D’ni Refugees (SLURL). I’ve long pushed it as a place to start learning 3D modeling. I think a large portion of those fans in SL have learned some aspect of 3D modeling. Whatever the case, modeling in SL has been done with primitive shapes (usually called prims). The primitive shapes are changed by parametric deformations. There’s a geeky term, I’ll explain it. Posted in Riven Myst Uru, Second Life, Virtual World News. Posted in Myst-Uru, Riven Myst Uru, Virtual World News. Got Myst-Uru search problems? May be things like finding information about topics regarding Myst-Uru history, the status of Myst-Uru open source, how to install and run the older games on new computers and on and on… It can be a challenge in the Myst-Uru world with most information on the Cyan (Myst creator) and fan forums. There are a ton of them. If you don’t know which forum is about which aspect of Myst-Uru, you are in for a long search. Fans have realized this and stepped up and put in the labor to build lists of the Myst-Uru Important Links in the community. Others made lists of Myst Uru fan sites. Others lists of Uru fan blogs. The idea was to make it easier to find information in the forums. Lists of important links in a forum is an atypical solution so many fans do not realize it is there. If you have a specific need there is still a lot to read to find what you want. There is Google, Yea! Google, I love you! If you run a search via Google you may just find too much information. Even worse you may find loads of hits from a forum and having already looked at it know what you want is not there. So, you are digging through pages of results or trying to narrow the search. Or you may know that a piece of information is on a specific site. Then one tries to use the forum search and finds out how weak it is. Need to find information on the Uru Library Manager? Most fans refer to it as ULM, three letters. Most forum searches will not search on three letters. There are some search tools out there. There is Uru Search by Kestr’l. If you search on ULM using it then one gets three pages of Myst Online posts. You would never suspect that the Uru – Guild of Writers (GoW) and the Uru – Guild of Maintainers – ULM (GoMa) have far more information on ULM. One would also likely not notice from the forum writing that GoW is depreciating ULM in favor of Drizzle/UAM. All the three letter acronyms make using forum search frustrating. The predominance of the MOUL forums in Google results make it less than ideal. The alternative is the Uru Guild of Cartographers Search Tool. It was built to allow one to search the large community sites. There are several buttons for searching specific forums. Try it out and see how you like it. It does those 3 letter acronyms really well. Posted in Riven Myst Uru. Tagged Myst Uru Guilds.